I’ve recently decided to start eating less carbs to help flatten my stomach for swimsuit season. So, I took to the internet to see what great foods you can make with minimal carbs and I found Lettuce Wraps! Simple, yes. I’ve learned so many things to do with a lettuce wrap being substituted for a bun. My favorite Lettuce Wrap currently is to make a taco in the lettuce wrap. I’ve got cheese, black beans, tomatoes, avocado, and ground beef with taco seasoning. The one thing I found odd about this recipe is that I wanted all of the items to be more stuck together than when making a regular taco so I cooked all of the items in the pan together. I also typically do not use black beans and avocado in my tacos but I figured why not since it was all going into one pan. What great lettuce wrap’s do you make? 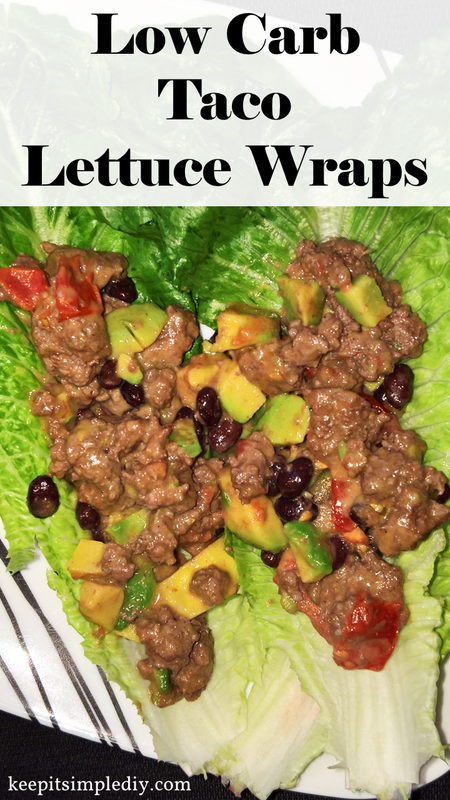 Lettuce wraps is one of my favorite lunch make and go. I always love tacos! These look super delicious! Gotta love new recipe ideas for tacos. Yummy! Looks like a great and easy meal to have for this crazy back to school time! Yummy! Tacos and lettuce in a wrap is a great combo! I love your recipe!